Joel, N5JR and Jim, NT5V will be active from Aruba as P40JR and P40JW between October 7-14, 2014. 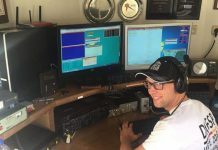 They will operate SSB, CW and RTTY on 160-6m with an emphasis on the WARC bands and 80, 160m. QSL home calls or LoTW.